FitnessRX for Women > Training > Workout Tips & Advice > Are Your Goals S.M.A.R.T.? 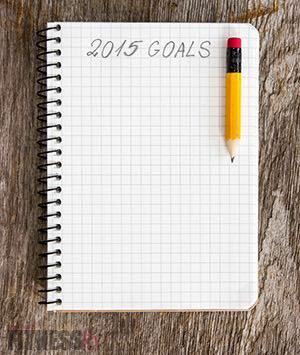 2015 is here and with a new year comes new and exciting goals! I am sure you have already set some goals, but have you put a specific plan into action? Are you losing steam or not making the progress you have hoped? 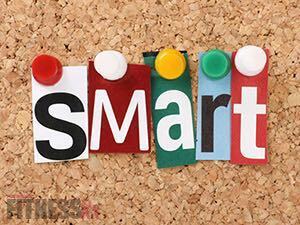 As you hone your list of resolutions, remember that the key to success is to ensure your goals are S.M.A.R.T. (specific, measurable, attainable, realistic, and timely). It’s pretty easy to set a goal, but setting S.M.A.R.T. goals takes work. S = Specific – Goals need to be straightforward and definitive. You need to know what you want so you can focus on how we are going to accomplish our goal! Instead of, “I want to get in the best shape of my life,” be specific and define what that means. Example: I want to go to the gym 4x/week, no excuses! M = Measurable – If you can’t measure it, you can’t manage it. How do you know if you have accomplished your goal if there is nothing to measure it against? Ex: I want to do 20 minutes of cardio 3x/week vs. I want to do more cardio. When you measure your progress, you stay on track, reach your target dates and experience the feeling of success and achievement that keeps you going to achieve your ultimate goal. A = Attainable – If goals are too far out of your reach, you probably won’t commit to doing them. Although you may start with the best of intentions, if it is not attainable, you can get discouraged, frustrated and quit. A goal of going to the gym 4x/week many sound attainable, but when the closest gym is an hour away, you have a full time job and kids to take care of, this may not be the most attainable goal. Rather than committing to commuting to the gym multiple times per week, wake up early to do an exercise video in the comfort of your own home where no commuting is necessary. Ex: I am going to wake up before the kids and get in 30 minutes Tae-Bo or P-90X exercise video 4x/week. R = Realistic – In this case, realistic means “do-able” NOT “easy.” If you are new to running and decide to set a goal to complete your first marathon in 3 months, you are probably setting yourself up to get frustrated and even injured. Rather than setting your goal to run a full marathon, maybe you set a goal to start with a 5K in a few months and a full marathon after several months of training. Starting with a 5K still won’t be an easy task, but it is much more doable and realistic than starting with a marathon! Ex: I am going to run my first 5K race in 3 months and set a goal to run a marathon within a year. T = Timely – Set a timeframe for the goal: next week, in three months, by the end of the year? Putting an end point on your goal gives you a clear target to work towards.Once you set up that timeframe, you also have mini goals to reach along the way. This will keep you motivated and continuing on your journey. If you have a goal weight to lose 30 pounds, doesn’t that seem like a lot!? If you break it down to 2 pounds a week or 5 pounds a month, see how that appears so much more reasonable!? PATIENCE. It is common to feel that we want to reach the goals we set out for ourselves today, yesterday! When we decide we want something, we want it NOW! This is completely unrealistic and setting yourself up for temporary results, if you achieve results at all. If you want permanent results, you have to be patient and trust in your journey. Consistency and small changes will add up to big results, but they do take time! Changing habits and making smart choices will get you where you are going, little by little. It is the habits you create along your journey that will become a way of life and your lifestyle! As hard as it is, patience is #1. YOU. Your goal has to be for YOU! A goal that you create has to be something you want and not what someone else wants for you. There will be challenging times along your journey, and if your goal isn’t for you, you are less likely to push through those times. You need to know what it is you want and WHY you want it. When you are doing things for you, your own inner fire will carry you along your journey. CREATIVITY. When you go after your goals, be creative with your approach. There is not a one-size-fits-all approach. If your goal is to do cardio a certain number of times per week and for a certain number of minutes each time, don’t get stuck in the same cardio, day in and day out. How boring will that be? Have fun and be creative with how you do your cardio. In order for you to stick to your goal and make your efforts long lasting, it has to be enjoyable. We are talking about making lifelong changes, so step out of your box and use your creativity to have fun with your goals! ASSOCIATION. If you surround yourself with people who live the way you want to live, it will make reaching your goals much easier and more enjoyable. Find people who are like-minded, into the same things you are into, believe in you and your efforts and inspire you. If you surround yourself with people that like to eat pizza, drink beer and watch movies all day long, it will make your fitness goals a bit more difficult. Even if you have the utmost self-control, that is going to be a much more challenging journey than being with those that you can eat healthy and do active things with. Find people that are on the same page. WRITE. You need to be able to put on paper what it is you want and see those things daily. Commit to yourself by writing down your goals. This simple inking can make your goals a reality rather than just thoughts and wishes. I hope these tips help you as you create your path for 2015! Anything is possible if you go into it with a plan! Use these tips to help you map out your game plan and regain your focus for the new year! Every month or so, reevaluate these tips and check in with yourself to see how you are doing! Be sure you go down the list and see if you are on track and adjust as needed to ensure you maintain your focus and drive. If you don’t check in with yourself from time to time, you can easily lose track and fall of the wagon! A personal monthly check-in is highly recommended to ensure greater success in accomplishing your goals! I have full confidence in you that if you follow these key tips, you will set yourself up for success and enjoy the journey to getting there! !